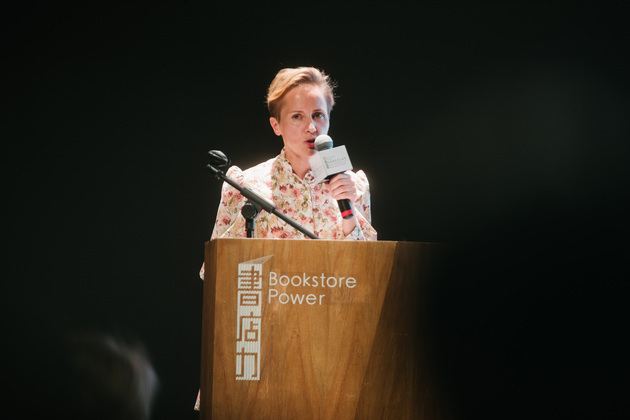 Sept.17 (NBD) -- The 2018 Chengdu International Bookstore Forum kicked off on Friday in Fang Suo Commune where renowned writers, publishers, and bookstore owners around the world were invited to discuss the new trend of reading. 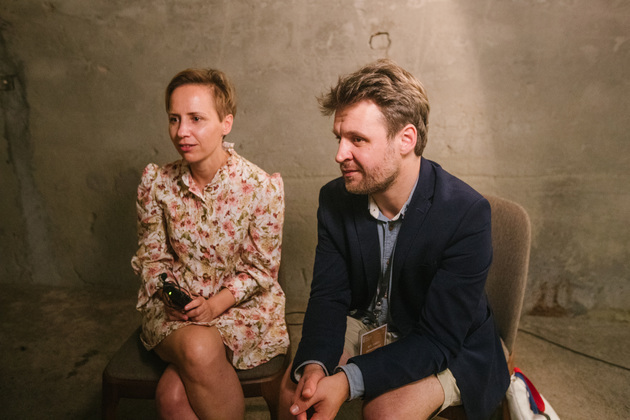 Magda Kalisz, co-owner of Polish bookstore Sztuka Wyboru (Art of Choosing in English), and Michal Urbaniak, bookstore manager of Sztuka Wyboru, had an interview with NBD to share their views about running a bookstore and the future of books. In 2015, Sztuka Wyboru was opened in Gdansk in northern Poland. The bookstore is designed as a hybrid of independent bookshop, cafe, art gallery and shop with locally designed and handmade goods, and it also serves as event and workshop space. The idea for the bookstore came out of travelling, Magda Kalisz told NBD. Educated as a lawyer and a cultural expert, she worked for a legal office for years. At the age of 28, she left Poland and started to travel around the world. She spent eight years on the road, doing seasonal jobs and travelling in between. Kalisz visited cafeterias, private art galleries and independent bookshops in different continents. Sztuka Wyboru is built with a multidimensional concept, offering books and coffee, exhibiting art works and hosting events. Bookstores currently are growing into new cultural landmarks which lead the trend of a city's cultural development. Sztuka Wyboru is a case in point. After 3 years of running, Sztuka Wyboru has been a new cultural hub. "People came to buy coffee, art or design, and they meet each other in the shop," Kalisz noted. The district that the bookshop is based in, which was known to be a sleepy part of Gdansk with slow social and cultural growth two to three years ago, now has become a popular entertaining and cultural spot. Talking about how a bookstore can bring better customer experience, Kalisz pointed out that it is important for people to enjoy touching books, reading and the being surrounded by books. What's more, a bookstore can further become a place similar to a department for people. "Though the bookstore is a public space, people can still feel like at home." When asked about how Sztuka Wyboru deals with the challenges brought by online bookshops, Kalisz told NBD that online bookstores indeed destroy the market because the book prices they offer are 30 percent lower than physical bookstores. "But we don't select the same books that those online bookshops have. In Poland, there are 40,000 books published every year, and big chains only sell 300 books. So we search for other books and only 20 percent of our books can be seen everywhere." Urbaniak explained. "We don't go with the trend when we select books, and we try to stay true to ourselves," said Kalisz. "We provide books to artists, designers, architects and those people who are interested in culture." "Sztuka Wyboru is not a commercial place or a supermarket of a bookstore," Kalisz stressed, "and it has its individual approach to customers." In addition to books, Sztuka Wyboru also presents illustrations, photographs and paintings in the art gallery. "We have close connection with younger artists and our bookshop establishes a platform for young artists and designers to show their arts," said Kalisz. Kalisz and Urbaniak believed that printed books won't be replaced by e-books in the future, saying "The latest study shows that less people in Europe are reading digital books now." The number of people who read e-books has reached a high top and now is falling down. "People are tired of spending hours on the computer and they are seeking for special relationship between themselves and books," said Urbaniak.